The user base for the original PlayStation 4 model is pretty high and it generally continues to sell well. So now many people are asking themselves, including myself, should I buy a PS4 Pro? You must also ask yourself if you care about having the highest graphical capabilities that are available today. I love the graphics in games today especially knowing that they are all in high definition. With that in mind, 1080P still looks incredibly good especially if you have a high def TV that has a lot of bells and whistles such as LED lighting and very good contrast ratios. 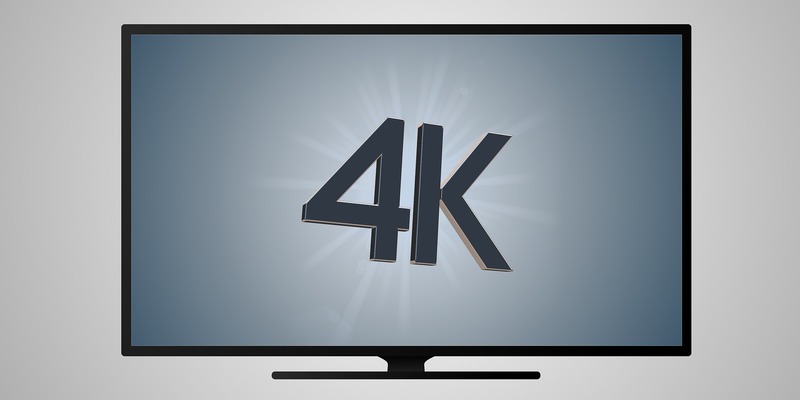 Technology though is always on the move and 4K is the newest kid on the block. It is not a dramatic leap over 1080P, but if you have one of those televisions that also support HDR (known as High Dynamic Range), it will look more colorful, sharper, and more natural than a lot of 1080P televisions. I have used a 42″ 1080P LED Vizio for the last few years for my PS4 to play open world games. It is a pretty good TV and I have been happy with how the games have looked on it. Very clear, colorful, and crisp. At the same time, more and more high definition televisions being sold in stores are 4K and those televisions have come down in price. Keep in mind too that PC games have been at the highest graphical standards for quite awhile now and are generally much higher than what game consoles can offer. Both Sony and Microsoft know this and they want to try and bridge that gap. Sony was the first to do so by releasing the PS4 Pro late last year which is capable of outputting and up-scaling games to 4K (or at least relatively close to it). Since I don’t have one at this time, I can’t compare both models of the PS4, but I have talked to people that do have the Pro version and some have said that they do like it and can notice a difference in graphics. Others have said though that the difference is negligible and not worth shelling out the extra money for it especially since the price is $399. One thing though is that games already out for the original PS4 system will have to receive a patch in order to showcase the higher graphics on the PS4 Pro and unfortunately, there’s not a lot of games out there that have received this patch. Something else that might be a turn off for those thinking about getting a PS4 Pro is that it does not include a 4K Blu Ray player. Now you’ll be able to stream 4K content on the Pro from say Netflix and other sources, but you just won’t be able to watch them on a 4K Blu Ray. This could in turn cause other people to go over to Microsoft’s Xbox One S that does include one. The insides of the PS4 Pro are double that of the original PS4 and even includes 1 extra GB of DDR3 RAM as well as a 30% higher clock speed on the main CPU and the GPU has gone up to 911MHz from 800MHz. Even with double the performance of the PS4 Pro, it still doesn’t match what PCs can output with the right specs and graphics cards that are out today and even then the PS4 Pro has been compared to a very low end PC capable of 4K, but not with all the bells and whistles that a higher end PC can enjoy. You’ve also got Microsoft working on a 4K capable system itself that’s titled “Scorpion” and they’re promising it will be the most powerful home console ever released that will truly be able to fully output 4K the way it is meant to on game consoles and be much more powerful than the PS4 Pro. It more than likely will also include a 4K Blu Ray player like its predecessor the Xbox One S.
I’m not trying to persuade anyone from getting the PS4 Pro especially those who have or plan to get a PlayStation VR headset. The PS4 Pro will be more than capable of running of it and would be worth the investment if you plan on going that route. As for myself, I do not plan on getting a PS4 Pro at this time. I just recently upgraded the hard drive in my original PS4 model to 2 terabytes and would be kind of pointless for me to get a PS4 Pro at this time. Plus, many game developers are still making games with 1080P output though it’s slowly changing as future games are coming with a patch to support 4K on the Pro. I do have a fairly new 4K television though that also supports HDR and the PS4 that I have looks really good on it. If I get a PS4 Pro it won’t be for another year or 2 and I’m also keeping an eye on Microsoft’s system coming out around the holiday season this year to compare the PS4 Pro and the Scorpion. Should I or you buy a PS4 Pro? That all depends on you and your preference. I’m perfectly happy with my original PS4 system right now and don’t have any need to buy the Pro at this time especially until there are more games that will have the patch or come out automatically supporting it. I would also like to at some point buy a PlayStation VR headset, but that is a bit pricey right now and I certainly don’t want to shell out that kind of money for both the PS4 Pro and the PlayStation VR especially since you need additional things to go with the PlayStation VR to make it fully functional. You’ll need to get the PlayStation Camera, which I actually already have, plus you’ll need the PS Move motion controller. That can be up to another $150 right there alone. Again though it just comes down to what you prefer. Do you want the latest tech and the best graphics possible or do you just prefer what you have now? Definitely post your thoughts below. Do you think the PS4 Pro is worth the price, maybe wait awhile to see if the price comes down, or just skip it altogether? Why Download Open World Games? Well I’ve been a Sony playstation man since i was about 10 years old – it started with specific titles like the metal gear solid and Tekken game series. So my perspective is biased, and being as i have this PS4 Pro, personally i would suggest anyone goes and gets one – the 4k picture is so crisp and clear on my Samsung 4k LED TV. Hello Marley and thank you for commenting. Well you have the PS4 Pro and you know what it does and what it looks like on your TV so who am I to argue? It was definitely well worth it for you so I am glad. What games do you have for it?